The Mickey Mouse Revue was an audio-animatronic theater-style musical review, similar in format to the Country Bear Theater, which featured an orchestra of classic Disney characters performing popular songs from the Disney repertoire. In addition to the center-stage orchestra—which was conducted by none other than Mickey Mouse himself—there were several smaller stages recreating scenes from classic Disney animated films with characters from the respective films performing their signature songs. The Mickey Mouse Revue also featured a pre-show that consisted of a short movie on the history of Disney animation. 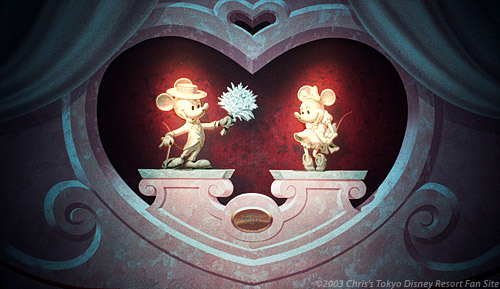 The Mickey Mouse Revue was one of Tokyo Disneyland's opening-day attractions. This attraction might have been familiar to fans of Disney World in Florida who have been around for awhile. The Mickey Mouse Revue was originally located in the Magic Kingdom at Disney World, but was packed up and shipped to Japan for Tokyo Disneyland's opening in 1983. Along the way the soundtrack was re-recorded—this time in Japanese. Other than the language change the attraction was identical to the original American version. Because the attraction was originally created in 1970, the songs and movies represented were traditional Disney classics like "Snow White" and "Alice In Wonderland." The fact that it was never updated to include more modern Disney films like "Aladdin" and "Beauty and the Beast" may have been why the attraction was never very popular during its tenure at Tokyo Disneyland. For me personally this was a good thing; even on Tokyo Disneyland's busiest days you could enjoy this attraction without having to worry about waiting in line. 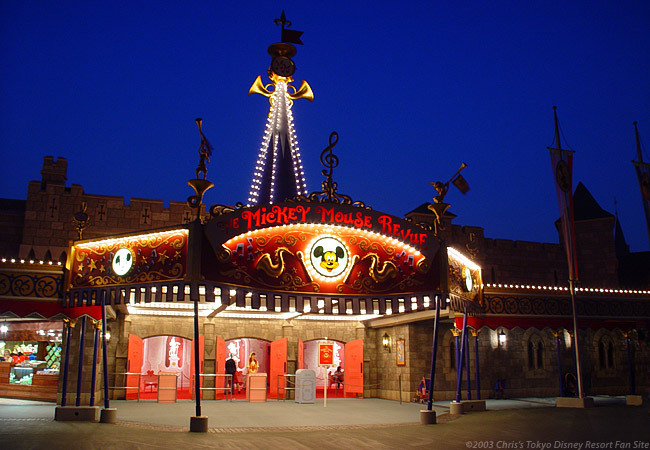 The Mickey Mouse Revue was closed in 2009 and was eventually replaced with Mickey's PhilharMagic.